For the second year running we managed a new years trip to the Sheriff’s very own Nottingham HQ. The itenerary was standard except this year we didn’t bring hordes of miniatures to benefit from the amazing gaming tables available. Otherwise it was a visit to museum, a general roam around the gaming hall to see what people are up to, then off to Bugman’s Bar for some awesome burgers and a few games of Death Angel. The trip was rounded off by a short hop cross city to Maelstrom Games, a place with good potential. If I lived closer I’d probably be gaming there every week! 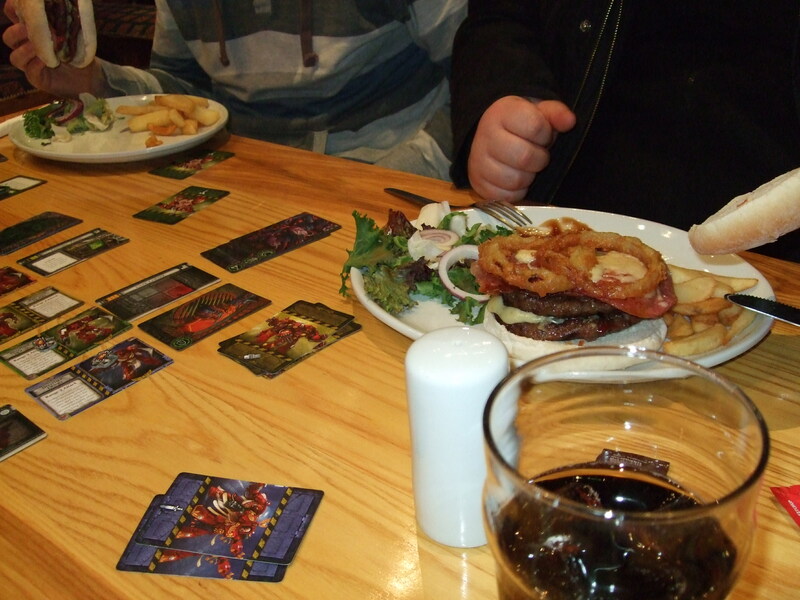 The Blood Angels suffered the same fate as my Burger, consumed by ravenous and unending hunger! NOM NOM NOM!